“My Little Pony” is not pleased to be used as a defense for Melania Trump’s speech plagiarizing controversy. Republican National Convention communications director Sean Spicer specifically quoted Princess Twilight Sparkle (“This is your dream. Anything you can do in your dreams, you can do now”) as proof that parts of Melania’s speech were not plagiarized from Michelle Obama’s DNC speech in 2008 — claiming they were actually inspired by the purple female unicorn pony. 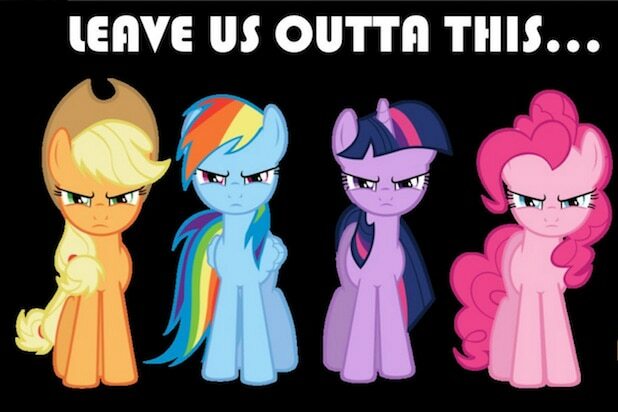 But what about Twilight Sparkle? The magical filly wasn’t too happy about being dragged into the drama, and neither were her colorful equine pals, according to Twitter. See the most enchanting memes below. Socks come complete with a suit for your feet. A different kind of campaigning. "They're Gr-r-reat Again!" and "Really, Really, Rich in Nutrients"
Be prepared to pay up, though: One box will set you back $40. Not feeling the Trump Flakes? For another $40, opt for Clinton Crunch, which is "Healthy for America!" Real question, though: Why'd they pick the RNC to sell this one? Pins were $5, T-shirts about $20. Instead of watching him do it on TV, you can have your own mini Trump bobble for $20. 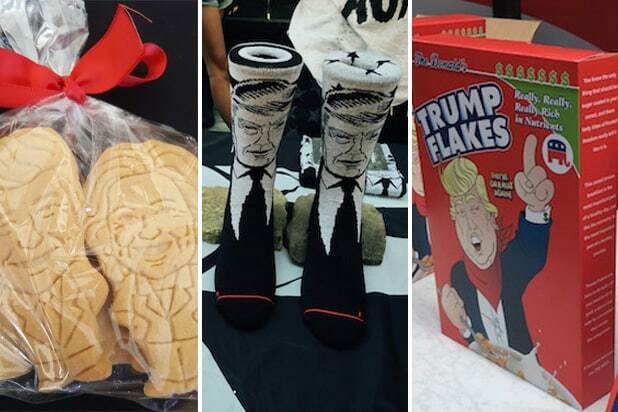 Now you can eat and drink your favorite presidential candidates!